There are a lot of people in the quilting and blogging about it community that are creating these fun little mug rugs so I just had to give it a try. I have been working on some bigger quilts and need a break to work on something small and simple. I had a lot of fun with this little guy that I paper pieced from a pattern that I got a few years ago from Artisiana’s blog. I also used the idea of putting on a pocket to hold a spoon, maybe a napkin or a tea bag. I can’t stop thinking of ideas for these and have several in my mind now. So many blocks could be adapted to this fun idea. I am thinking Christmas gifts with a mug and the mug could be a receptacle for lots of different things depending on who the gift is for. There are so many fun ideas from creative people on blogs and it nice that we can share. Now I just wish the hackers would quit leaving comments on my blog. My blog got removed a while back because of their comments and I had to put a comment moderator on which I hate that I have to do, but since more than half of the comments I receive are some sort of spam it is necessary. My question to anyone reading this post would be, is there a certain size that is standard for a mug rug? Mine are measuring about 8” x 10”, which seems to be a good size for a mug and a small dessert plate. I am having a lot of fun seeing all the wonderful Christmas ideas coming out and can’t wait to work on a few of my own. Hopefully I will get a lot done this year. Looks like we will have some snow this weekend and that always gives me sewing time! Enjoy this creative season, thinking and doing for friends and family is always time well spent! It was 110 degrees today outside and just as hot inside. No really, the air conditioner was on and it was very comfortable so I was cutting and piecing a very special project for my Son and his future wife and my machine was on fire. I have been collecting fabrics for months in fall colors since the wedding is on Halloween I even have some fun Halloween prints. I have played with so many possibilities on EQ6 that my head was spinning, but last week I went on a trip to spend some time with my sister and her baby boys and we took a trip to a quilt store that was making a change in ownership so they were clearing out a lot of merchandise. One of their sales was 50% off all books, so I loaded up! What fun I had! The boys were very patient with me and well behaved and we all had a great time. They are precious and my sister is an amazing Mom. I only wish we could have had our babies together because I could have learned a lot from her. I don’t know if you can read the tee shirt on Brody, the top picture, but it says “SAVE Energy Take a Nap”, words to live by for sure! I love when you are working on a project and all the pieces just come together beautifully and fit so perfectly like it was meant to be. Well, that is how this project is going so far. Once I decided on a pattern I found in one of the books I bought and it all made sense. I have been seeing this on a lot of blogs lately also. It is a double hour glass, and I was able to use the fabrics I had been collecting in such fun and interesting combinations and I think it will all look great with a 2 inch black border. Next to decide on the outer border and the backing, but for now I am really liking my progress. When it gets hot, get quilting! Body: Cut 1” X 5” strips I used a brown fabric all the same for each butterfly. Mark the wings at 3/4” from the top for the section near the body and 1/4” from the top. This is where you will put the background strip to sew. Lay the background strip on the wing and sew 1/4” from edge. Be sure you have extra fabric hanging over each end for full coverage. Fold background fabric back and iron in place. Square up the wings to 2 1/2” X 5” . I turned the piece upside down to square it up and I didn’t cut the extra backing off because it was so small and it helped with the squaring up. Sew wings to body and iron towards the body. 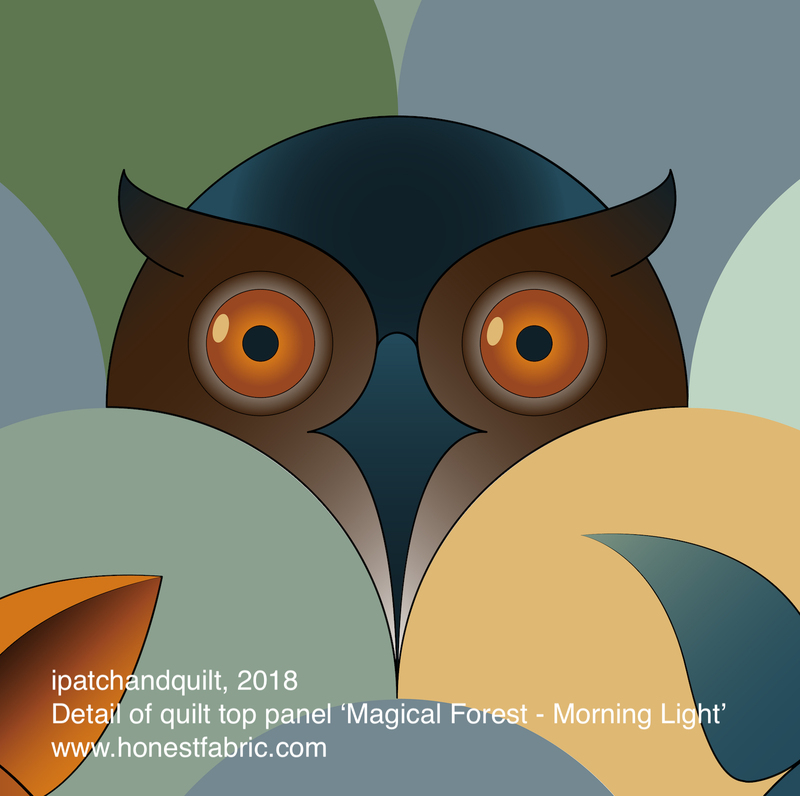 Mrs. Schmenkman Quilts – She posted a tutorial on this that might be easier to understand than what I just did. and I’m sure there are some I missed and more to come! Let’s see some more beautiful butterflies flitting around out there in blogland of all sizes. I did it! I went to test drive the Janome 6600 yesterday and of course it had to come home with me. I even got a deal on the table special made to fit it. The table is really nicely made and solid. There is no vibration when it is sewing at all and the height is very comfortable to work at. I played on this machine for about an hour and already felt comfortable enough to start a project. I read that the manual was terribly written, but I found it easy to understand and I went through it for each step of setting up and changing feet to changing settings and had no problems at all. My Mom would be so proud of me using the manual, she always says “Did you read the manual?” and usually I don’t I just figure that I will figure it out sooner or later. Well, the manual was read and reread and I followed the directions and I figured it out faster. So it pays to follow Mom’s advice once in a while. I’m trying to decide what is my favorite feature so far…I thought it would be the Accufeed foot, but it is not yet, maybe after I quilt something it will be. It will be nice not to have to put on the bulky walking foot. You just put on your quilting foot, pull down the feed foot holder and that is it. It is not noisy, that is the best part. The store owner gave me an Accufeed 1/4 inch foot, but I found that I had to move my needle so far over for it to be a true 1/4 inch, the regular 1/4 inch foot that comes standard with the machine is so much more accurate. You don’t really need the Accufeed to piece, but it will be good for putting on binding. So my favorite feature is a tie between two little buttons, the thread cutter and the Start/Stop button. I sounds like the thread cutter is causing some people problems, but it was explained to me that you have to cut the thread before you lift the foot and there will not be bobbin thread coming out which bothers some people because they are use to holding the top and bottom threads before they start sewing. The thread cutter is holding the bottom thread and it will come out when you start sewing. No more lifting projects to cut threads from the bottom, very handy for me! The Start/Stop button lets you sew without using a foot petal. I keep forgetting this and wanting to step on the gas. You do have the option to use the foot petal if you want and it is a really nice petal, but I am really liking this button a lot and finding it easy to get use to. We had our first real harvest from the garden yesterday. We have gotten a few zucchini and few strawberries here and there, but last night I filled my basket to overflowing. I have a feeling this is just the beginning. I may be making some strawberry jam soon! Eat healthy and use your time wisely! There is just something about summer that draws me away from sewing and blogging for long periods of time. I am still reading other people’s blogs, but posting to mine…not so much. It is so hot where I am working – 112 the other day and over 105 most days, so when I get home I am just exhausted. On my days off I have been working in my garden most of the time, but last week I actually spent one day fishing on Lake Shasta with my sons and Michael. It was my older son’s 26th birthday and this was something he really enjoyed. Just look at that smile on his face! We had a great time, saw some great sites and even caught quite a few fish. Things are growing in my garden with all this heat and we have been harvesting strawberries, but the tomatoes are just getting big and not coloring up yet. They will probably be ready all at once in a few weeks or less. The zucchini’s on the other hand are all ready and hard to use up. We grew Magda, White Lebonese and an eight ball squash. They are delicious, but I am runnin g out of ideas to do with them. I’ve made several stir frys and a Zucchini Pie (this recipe was from a Pillsbury Bake off winner, follow the link~it’s great!). I have lots of basil ready and waiting for the tomatoes to be ready…can’t wait for that! The only sewing I have been working on is to make some cushions for some out door chairs and now I am piecing a simple table cloth to match them. I am going to a near by S ewing Center to test drive the Janome 6600P today. It has an Accufeed foot that would be great for quilting and it has lots more stitches than my machine and an automatic thread cutter . If I get it I will probably keep my Janome DC3050 for taking to classes since it is a nice lightweight size for that. I have been reading all kinds of things about the 6600 and it sounds like it might have a few problems, but I think the pros out weigh the cons. I’ll decide after a test drive. Anyone reading this that has input on this machine please share, I would love to hear reports! Summer ~ Gotta love it! Yesterday I got a package sent with FREE shipping from King Arthur Flour. In it were some secret ingredients I used in this delicious cake made with their recipe for Lemon Custard Cake which I of course tweaked a bit with great results. To be fair though I should make it again following their directions to a tee then compare, but I am completely satisfied with my results. I used the new Mary Ann cake pan that came in this order and the Queen Guinevere Cake Flour and Cake Enhancer. My secret ingredient though that they didn’t use in the cake was the fiori di sicilia which is an orange/vanilla flavoring that smells divine. I could wear this as a perfume. I also added some grated lemon rind and used a lemon pudding mix with some cream cheese added instead of the pastry cream they called for. We had some fresh blueberries and raspberries on hand to add to the very top, the only thing missing was whipped cream which I some how forgot on my trip to the grocery store. This was worth turning on the air conditioning so we could turn on the oven for a while…very much worth it! Check out King Arthurs recipes for some really great ideas then find your secret ingredient that makes it yours! 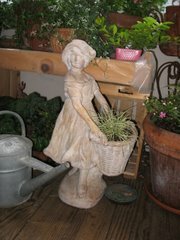 I have another blog where I usually blog about garden related stuff, but Candace at Squash House has started doing garden updates weekly on her blog and I thought it might be fun to play along. So…this week in my garden after a very long and cold spring things are finally starting to show signs of future harvests. This little squash is an heirloom ‘White Lebanese’ that should be ready to harvest any day now. It looks a bit like one of my favorites called ‘Magda’. This is the first time I have grown this so I will have to update you all later to let you know if you should search it out next year. The plant itself only gets about 3 feet around instead of taking over the garden like some zucchinis. My herb garden is finally taking off too and I harvest a bunch of Italian Parsley that I dried in the food dehydrator and bottled. I like dehydrating my herbs because they come out so colorful and fresh looking and that way I know they are not dusty. We got a big dehydrator called an ‘Excalibor’ and hope to put it to good use this summer. They parsley took about 24 hours to dry. There is a temperature control which is nice since herbs need less heat than drying tomatoes or other fruit so this is a handy feature. It also has a lot of removable drying shelves so depending on what you are drying you can add or remove shelves. The motor is really quite also not at all annoying. I think I will be making lots of Basil mixes later. I am growing about 5 different types of basil and love to mix them together. I have a little leaved one called ‘Pistou’ and a bigger leaved one called ‘Marseille’ and of course there is ‘Genovese’ and ‘Opal’ and my favorite ‘Cinnamon’. Can’t wait for those tomatoes to serve up with basil and balsamic vinegar…oh, and don’t forget the mozzerella! Looking forward to many harvests! Besides the vegetables I have a lot of flowers in bloom. I have tried for years to grow lupines and this year I had great success. These are Russel hybrids and they stand about 2 feet high. I love them! There is also some scabiosa growing there next to them. I planted them a little close together because they are in a 1 foot by 3 foot gopher cage. I took a lot of precautions here and love the results! Another plant I have not had much success growing until now is hosta. I have put out the snail bait, but not seen one snail here. I’m hoping that they don’t like the cold winters. I think I planted about 6 different ones in this bed and they all came up and are just about ready to bloom. I love this place where I can grow almost anything, let’s hope the gophers and deer don’t discover my treasures. We have lots of deer fencing and gopher cages in place and our fingers are crossed. In this bed are some Russian Mammoth Sunflowers and they are budding up, can’t wait to see these huge sunflowers and feed them to the birds. I’ll close with a picture of my favorite rose ‘Country Dancer’, I wish I could share its sweet fragrance with you all, but you will have to trust me on this one, it smells like a sweet apple. Let the growing and harvesting begin! Sometimes there are times in your life when you have to try to figure out how best to put the pieces together to make something orderly of it. I am working on a part of my life right now where I am trying to make an important decision. I have looked at all the angles and tried to put them together just right so that all the points and corners meet up (or at least come close). I am finding that working on a quilt block helps. Oh, I don’t know what that block may become or if it will join others in a basket in the closet of misc. blocks with no particular purpose, but for today it served a purpose in my life. It makes me wonder how many other people find that kind of therapy in crafting or gardening or baking or other hobbies that require concentration and mindfulness. I think that is what hobbies are all about, sort of a therapy or a focus exercise. I spent a few hours yesterday baking 2 loaves of bread and thinking about how mixing ingredients and watching yeast work to create something that is tasty and good for my body is also good for my mind, and I shared that with someone special to me which also made me feel good. These were both great things to do on a rainy day deep in thought. The only decision that I have made about the situation I am thinking about is that it won’t hurt to try and decisions can be changed and adjustments made, in the end I must take care of myself and be content with the life I create for myself. My block that I created comes from a new book out by Eleanor Burns that I preordered called “Quilt Blocks on American Barns”. I got a signed copy and I love it. It reminds me so much of my Grandmother and summers spent in Iowa. The block I chose is called Quatrefoil and it represents a 4 leaf clover. She says that a common saying is “to be in clover” which means to be living a carefree life of ease, comfort or prosperity. I’m not sure that I am living that life yet, but I am getting closer and maybe a few more blocks put together will help to get me there! Enjoy your craft therapy whatever it may be! Due to the bad weather I have actually been able to have some unexpected sewing time and have finished a few projects and started some new ones. One that was so exciting to have finished was the runner that Karen from Sew Many Ways so generously shared with me last year. It took me a year to get the nerve to quilt this beautifully pieced quilt. I took a free motion class last month and practiced on a few pieces before I gave this one a try. I am pretty happy with the results. I do need some tips though on how to get the ceramic pencil marks from my Sew Line pencil out. I think they will come out after a few washings, but does anyone have any tips to share on this? After quilting this my confidence level was up so I quilted my Schnibbles Picnic quilt. I had seen this quilt popping up all over on other quilters blogs and just had to have one for myself. I posted on the progress earlier and now I am proud to say it is finished and hanging on my wall. I hung it with a quilt hanging frame that was handmade by a local craftsman and sold at my favorite quilt shop, JJ’s Log Cabin. JJ supports local crafters by displaying and selling their products in her shop on consignment and she does have quite a crafty group that supplies her with their handiwork. We have been enjoying visiting the thrift shops and antique stores in our area and finding lots of treasures. Recently we found this cute little dresser that only needed to have it’s mirror replaced. We didn’t get a beveled mirror, just left it plain, but it looks cute and is functional in our guest room. So far after 2 weeks in place the drawers are still empty, but I’m sure it will get put to good use in the very near future. Empty drawers are hidden treasures for me! I pieced a runner that just happened to fit and look great with this dresser so now I have to get it quilted…always a project in progress (or two or more:). Next I am going to attempt to make myself a summer dress and skirt before the weather finally warms up. I have everything I need except the time, so I will just have to squeeze it in. I got the Juliet tunic by Serendipity Studio and I am planning to making it in dress version, more on that as I make some progress.